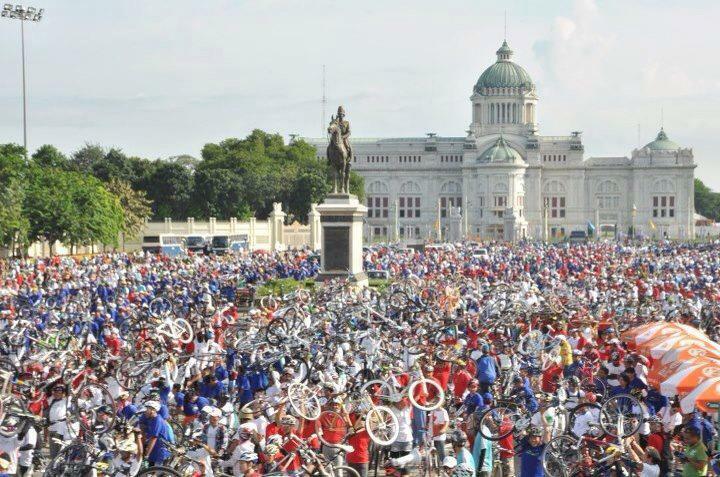 This year, Bangkok Car Free Day is being celebrated on Sep 23, and to mark the occasion, The Thai Cycling For Health Association is holding a special bike ride. 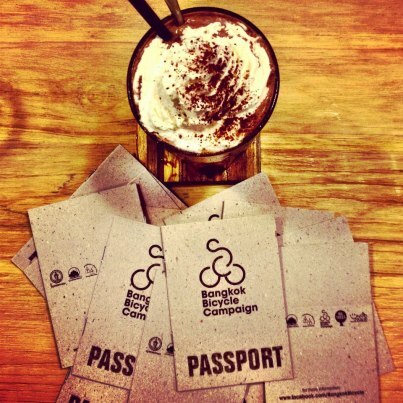 They’re calling on bicyclists to gather at 6am at 14 points around Bangkok, total of around 16,000 registered cyclists. 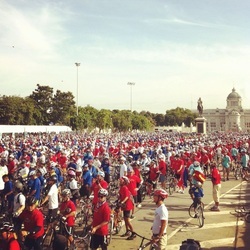 They make their way to Rama V Monument Square before riding on to Borommaratchonnani Road. From there they will put on what is the biggest ever Thai flag parade en route to Lumpini Park, where proceedings will wrapped up at around 3pm. A photo contest about illustrating your desired walkway. The underlining reason is that even though citizens engage in the use of walkway everyday, they lack the sense of ownership and responsibility which leads to ignorance. 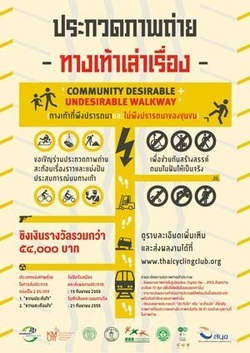 This campaign aims to push for the right actions in the walkway and the city. Bangkok Car Free Sunday "เอาทางจักรยานคืนมา"